The Addams Family was created by cartoonist Charles Addams in 1938. The original Addams Family television series was based on Addams' cartoons for the New Yorker magazine. The show aired on the ABC TV Network for two season, from 1964 to 1966. 64 episodes were produced. 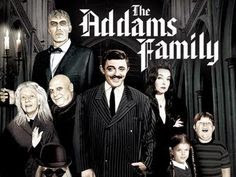 The series chronicled the misadventures of the macabre family of Gomez Addams, his wife Morticia, their two children and other relatives. To test your knowledge of the ghoulish clan, why not try out the quiz below. Note: The questions pertain to the 1960s series only. Remember the theme song (lyrics by Vic Mizzy): Snap your finger and sing along! 1. What was the ghoulish Morticia Addams' maiden name? 2. 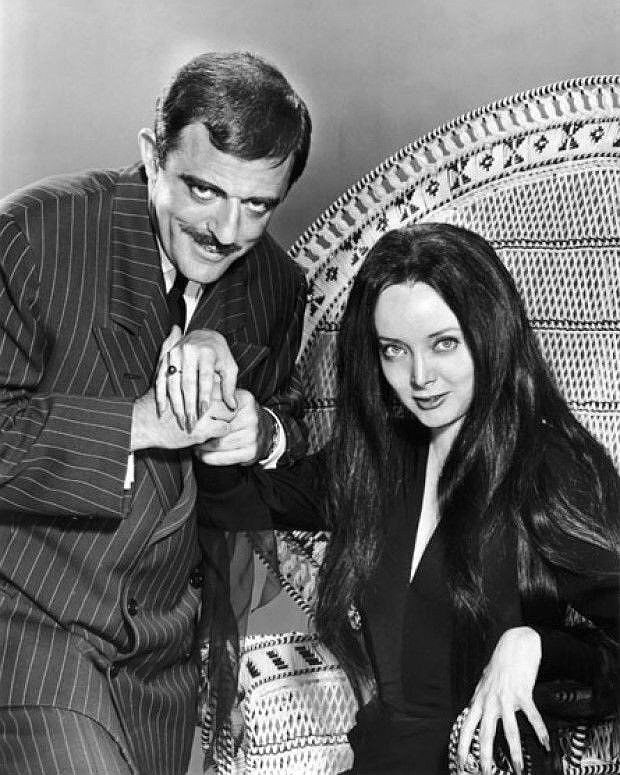 What was Gomez Addams' pet name for Morticia? 3. 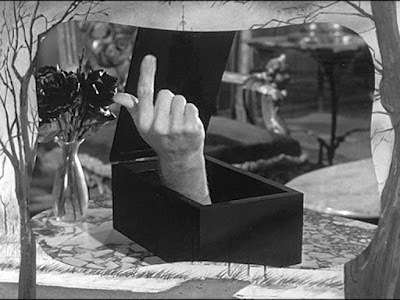 What was the name of the hand in the box? 4. 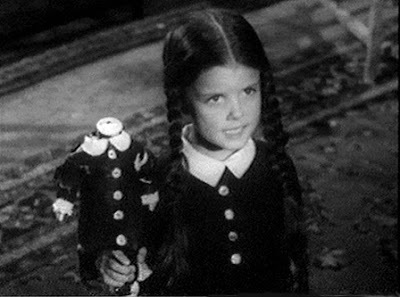 Wednesday Addams, the daughter of Gomez and Mortitia, had a favourite doll. She carried it with her everywhere. What kind of doll did Wednesday have? 5. What was Morticia's hobby was gardening. She took great pleasure in nurturing weeds. She also had a man-eating plant. What was the name of her plant? 6. What was the name of the actor who played Lurch, the Addams family's gigantic zombie-like butler? 7. What did Lurch say when summoned by a member of the Addams? D. "What can I do for you?" B. "How can I help?" 8. What was the name of the little Addams Family creature who was covered with hair from head to toe. 9. What was the name of Gomez and Morticia's pre-teen son? 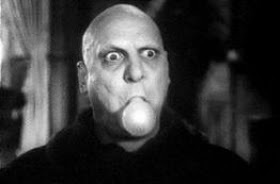 10. Who was the actor who played Uncle Fester in the original TV series? 11. What strange ability did Uncle Fester have? A. He had the ability to generate electricity. B. He could touch fire with his bare hands and not get burned. C. He could go hours without blinking his eyes. D. He could grow fangs in his mouth. E. He could become invisible. 12. Grandmama entertained grandchildren Pugsley and Wednesday with stories about . . .
13. 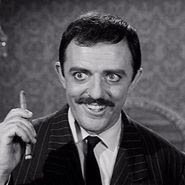 What did Gomez Addams smoke? A. Gomez smoked a pipe. E. None of the above. Gomez was a non-smoker. 14. What was the address of the Addams Family? 15. In the episode "Hallowe'en With the Addams Family" (Season 1, Episode 7, Air Date: October 30, 1964), who played the crook? Morticia's maiden name was Frump. 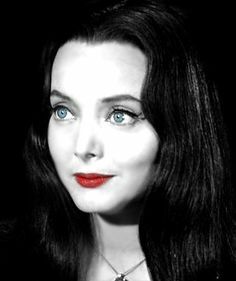 In the original television series, the role of Morticia was played by Carolyn Jones. Jones began her film career in the 1950s and was nominated for an Academy Award for Best Supporting Actress for her role in The Bachelor Party (1957). She is also known for her portrayal of villain Marcia, Queen of Diamonds on the 1960s Batman series. 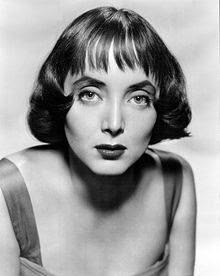 Carolyn Jones died of colon cancer on August 3, 1983 in West Hollywood, California. She was 53 years old at the time of her death. Gomez had two pet names for his wife Mortitia - "Querida" and "Cara Mia." The hand in the box was called "Thing." Wednesday Addams favourite toy was a headless doll named Marie Antoinette. Wednesday was a pale little girl with long, dark braids. Her usual attire was a black dress with a white collar, black stockings and black shoes. In the 1964-1966 television series, Wednesday was portrayed by American actress Lisa Loring (born February 16, 1958 in Kwajalein, Marshall Islands. After The Addams Family went off the air, Lisa joined the cast of The Pruitts of Southampton, a situation comedy starring Phyllis Diller (The series was retitled The Phyllis Diller Show.. It ran from 1966 to 1967 and Lisa portrayed Susan "Suzy" Pruitt, John Astin, who played her father on The Addams Family also appeared From 1981 until 1983, Lisa was a member of the cast of now-defunct CBS daytime drama As the World Turns. She created the the role of Cricket Montgomery on the long-running soap. Now 59 years old, Lisa Loring has been married four times and has two daughters. In 2014, she appeared in the comedy/horror/science fiction film Way Down in Chinatown. In 2016. she played Miss Rhonda in another comedy horror movie called Doctor Spine. The name of Morticia's African strangler plant was Cleopatra. She fed it pieces of red meat. The plant was always snuggling up to visitors as a way of sizing up its next meal. 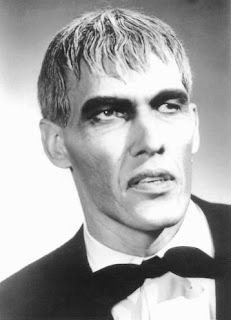 Ted Cassidy played Lurch, the Addams family's manservant. The 6 feet, 9 inch (2.06 metres) actor was known for his deep bass voice. Cassidy died on on January 16, 1979 from complications after undergoing surgery to remove a non-malignant tumour from his heart. He was 46 years old at the time of his passing. 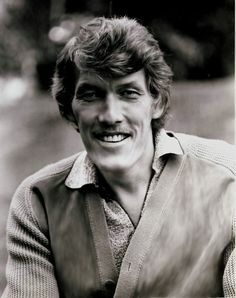 Trivia Note: "Thing" was the had of Ted Cassidy. Lurch's catchphrase was "You ra-an-ng." He responded with the words "You rang" whenever he heard the loud gong used by someone in the eerie Addams family. Lurch's voice was extremely deep and intimidating. 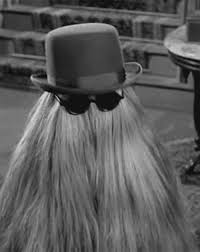 The name of the Addams Family hairy creature was Cousin Itt. He was a cousin of Gomez Addams. He was short and usually wore sunglasses, a derby hat and gloves. The name of Adam and Morticia's eldest child was Pugsley. He was almost always dressed in a striped T-shirt and shorts. He was overweight and was shown eating multiple pieces of cake at a birthday party. He and his younger sister, Wednesday, shared an interest in spiders, dynamite,and guillotines. 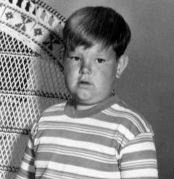 In the 1960s television series, Pugsley was played by Ken Weatherwax. After The Addams Family was cancelled, Ken had a difficult time finding work and was typecast. He enlisted in the United States Army at the age of 17. When his acting career ended, Ken worked behind the camera and appeared at Addams Family-related event. He died of a heart attack at his California home on December 7, 2014. He was 59 years old at the time of his passing. 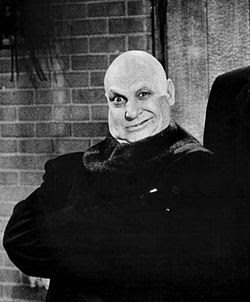 Jackie Coogan played Uncle Fester in the 1960s series. In that series, Fester was said to be Morticia's uncle, brother of her mother, Hester Frump. In all other filmed and animated versions of The Addams Family, Fester was established as the brother of Gomez Addams, making him the uncle of Pugsley and Wednesday. Fester was completely bald with sunken eyes. He always wore a heavy, full-length fur coat. Christopher Lloyd portrayed Fester in two feature films. Michael Roberds played the character in The New Addams Family, an American-Canadian TV sitcom that ran from 1998 to 1999 on YTV in Canada and on Fox Family in the United States. Fester was also played by Patrick Thomas in the direct-for-video film Addams Family Reunion and by Kevin Chamberlin and Brad Oscar in the Broadway musical. Jackie Coogan began his film career in silent movies and became well known as a child star due his performance in Charlie Chaplin's 1921 film classic The Kid. Coogan died on March 1, 1984 at the age of 69. Fester had the ability to generate electricity. He demonstrated this ability by placing a light bulb in his mouth and illuminating it. Grandmama would sometimes regale Pugsley and Wednesday with stories about the French Revolution, inspiring Wednesday to behead her dolls. She was a witch-like woman who concocted potions and dabbled in the occult. 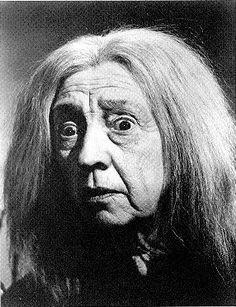 In the 1960s series, Grandmama was played by Blossom Rock, a veteran actress of stage, film and television. Blossom Rock's birth name was Edith Marie Blossom MacDonald. She was born on August 21, 1895 and was older the sister of actress/singer Jeannette MacDonald. She appeared in films as Marie Blake and her first credited part was in Love Finds Andy Hardy. She also played the role of Sally, the hospital switchboard operator in the MGM Dr. Kildare film series. Blossom married actor Clarence Rock and they had no children. Her husband died in 1960. Blossom Rock passed away on January 14, 1978 in Los Angeles, California at the age of 82. Gomez Addams smoked cigars. The patriarch of the Addams was extremely eccentric and very wealthy. He usually wore a double-breasted pinstripe suit and a black necktie. He was a Latin lover type and ardent in his devotion to Morticia. In the 1960s sitcom, he owned many businesses around the globe, including a crocodile farm, a buzzard farm, a salt mine, a tombstone factory and a uranium mine. In the original TV show, Gomez was played by John Astin. Astin was born on March 30, 1930 in Baltimore, Maryland, As of this writing, he is 87 years old. From 1972 to 1985, he was married to actress Patty Duke. Trivia Note: In The New Addams Family (1998-1999), John Astin played Grandpapa Addams. The Addams family resided at 0001 Cemetery Lane, a gruesome mansion located between a cemetaey and a swamp. n the 1960s series, the interior of the house resembled a museum with old statues, trophies and interesting artifacts. 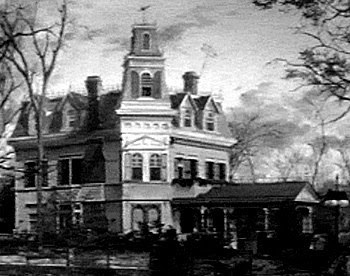 The Munsters, another creepy 1960s family, lived at 1313 Mockingbird Lane. 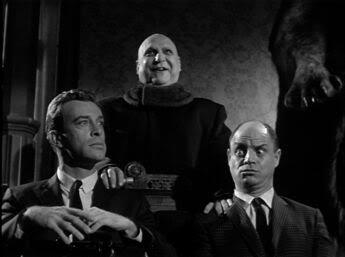 In the episode "Halloween with the Addams Family," Don Rickles and Skip Homeier played a pair of bank robbers who seek refuge at the Addams' home on Halloween. Fang was Pugley's pet jaguar. Pugsley also had a pet octopus named Aristotle. The Addams' pet lion was called Kitty Kat. Their pet vulture was Zelda and their pet pirranhas were Triston and Isolde. Homer was Wednesday's pet spider.